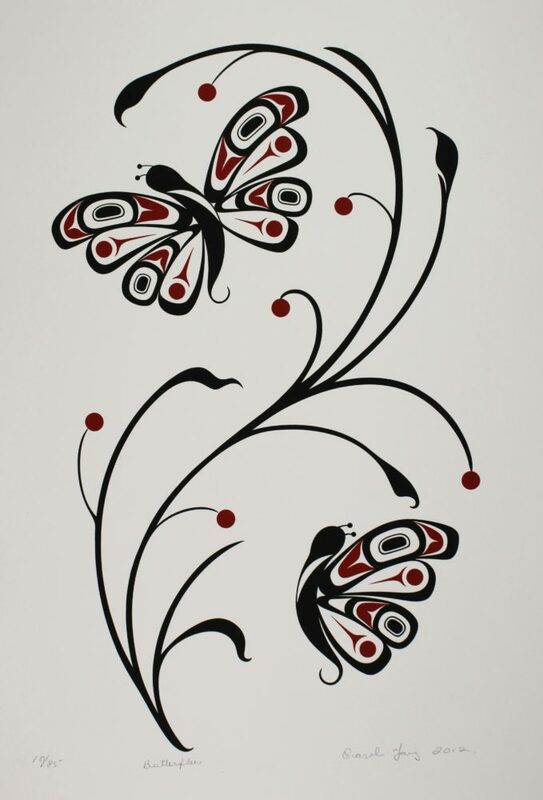 "I chose the butterfly for this design because I believe the butterfly represents rebirth and transformation. 12 years ago if you would have asked me if I would do art for a living, I would have grinned and said no. 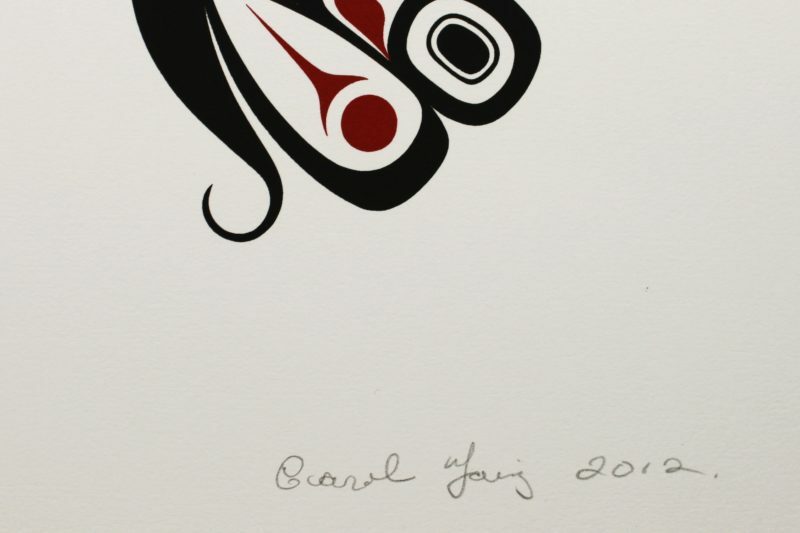 Now, as a Haida artist I am discovering who I am. This transformation from a full time mother to an artist has very much been a rebirth for me. It has not only given me a new way to see myself, it has also given me a new perspective of others and the world, a more positive view." This limited edition silkscreen print titled "Butterflies" by Carol Young was hand produced by the screen printing process. It is the only limited edition printing of this design. The artist has inspected and signed each copy in the edition. All trial copies of this edition have been destroyed and the printing stencils obliterated.